KROM, Brian J., of Holbrook, sailed into his eternal port to meet Jesus on July 11, 2018, at the age of 47. 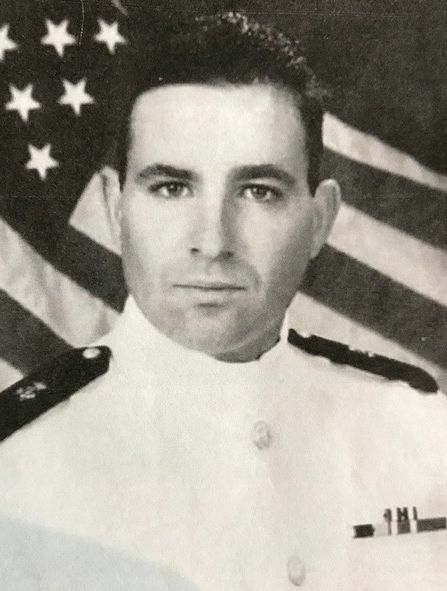 Born and raised in Holbrook, Brian graduated from Cardinal Spellman High School and Massasoit Community College, eventually transferring to Massachusetts Maritime Academy to complete his formal education, where he graduated as an officer in the Merchant Marines in 2000 and a degree in Plant and Facilities Management in 2001. Brian’s love was sailing the world and the challenges that life on the sea brought. He was an ace at problem solving and mechanical issues and could fix anything. He had sailed the world’s oceans many times with several companies including NOAH and as a member of M.E.B.A. with Central Gulf Lines Green Cove. Brian was working on upgrading to 1st/Chief Engineer when he was given his devastating diagnosis – Glioblastoma Multiforme Stage 4 – brain cancer. For 3 ½ years, through prayer and grit, he encountered many months of illness and a rare period of remission, only to have the cancer reoccur. Brian was an avid Boy Scout with Troop 56 in Holbrook, just missing Eagle Scout because of age requirements. He loved fishing and amassed over 30 fishing rods and equipment over the years. He was a movie buff and would critique shows for the ship’s crew. He had an affinity for muscle cars, owning a Camaro, an El Camino and a Corvette. Brian was the loving son of Mary Jo (Boulton) Krom and the late William Krom. Devoted brother of Aileen and her husband Tim. Dear uncle of Katelynne, Kristina, Meaghan and Maureen. Great Uncle of Natalia, Delia and newborn nephew Matthew. Also survived by many aunts, uncles, cousins, great friends and his beloved kitty “Bella”. Brian will always be in our hearts and forever missed! Sail On! Relatives and friends are respectfully invited to attend visiting hours on Monday, July 16th from 4:00 – 7:00 PM in the Cartwright Funeral Home, 69 So. Franklin St. (Rt. 37), Holbrook, with a Funeral Service at 7:00 PM. Burial will be private. In lieu of flowers, memorial contributions may be made in Brian’s name to the Dana Farber Cancer Institute, DFCI c/o David A. Reardon, MD, 10 Brookline Place, 6th Floor, Boston, MA 02445 or www.dana-farber.org.